These Designer iPad Cases by Bill Amberg are made from 100% smooth bridle leather with contrast color lining. 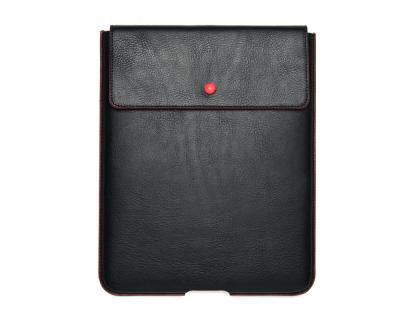 Designed to fit the iPad 1 and iPad 2, the press down button will keep your iPad safe and secure when it is not in use. These beautiful leather iPad cases are available in a variety of colors. Cutouts allow you to charge your iPad without removing it from the case.